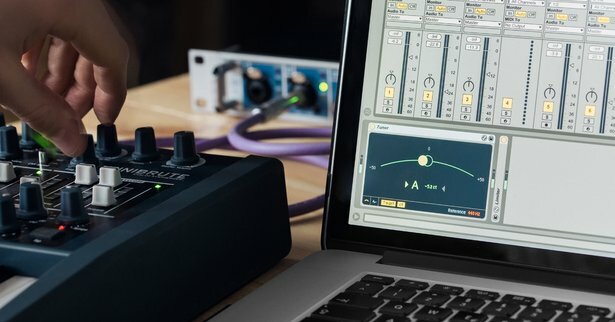 Live 9.2 introduces a number of latency-related improvements. Sets that contain Max for Live devices or third-party plug-ins now have lower latency and automation is now fully latency compensated. Live 9.2 brings further refinements to Live’s audio warping engine. Transients are punchier in Complex and Complex Pro modes, downbeat detection has been improved and warping is now even more accurate. The new Warp Selection command lets you warp a selected portion of a sample to a precise bar length. Along with further under-the-hood improvements, Live 9.2 comes with a handy new Tuner device while Max for Live is now based on Max 7, the latest, most powerful version of Max. Live 9.2 introduces the ability to use all 64 Push pads to play drums and quickly flip back to 16 pads for step sequencing. To help you jump right in, a new free Pack is available that makes use of the extra real estate offered by 64 pad mode and brings you five Racks’ worth of high-quality drums, percussion, loops, and one shot samples. 64 Pad Lab is a must-have for owners of Push, but no Live user should miss out on this essential freebie. The 64 Pad Lab Pack was assembled by finger-drummer extraordinaire Mad Zach, and if you watched his Push performance video, you’ve already seen and heard the musical possibilities of Push in 64 pad mode. In a new video, Mad Zach shares his strategies for playing with the 64 pad layout, tweaking individual sounds, and some useful production tips for getting punchy drums – all on the basis of the free 64 Pad Lab Pack. Live 9.2 also brings improved aftertouch implementation to Push’s pads and the addition of aftertouch to many of Live’s core library sounds. In addition, Push’s touchstrip can now also be used for modulation wheel control and pitch bending. 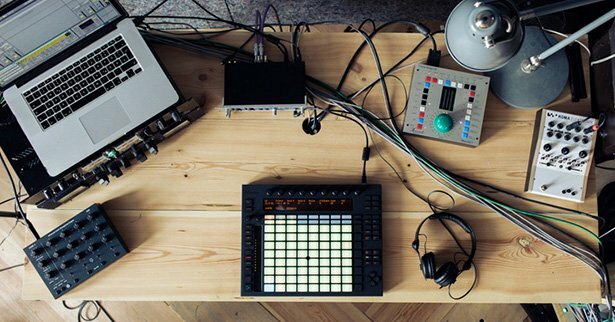 Live 9.2 is available for immediate download for all owners of Live 9.